But before we think of receiving, let’s see what we can add to the atmosphere of our homes. Time to welcome the change, be in with the new and out with the old. Somewhere in between ideas are born into existence. Fall taught us how to let go, not it is about time for a Christmas season where anything is possible. If not now when is the best time of all year for some miracles? Let’s welcome the change in with some decoration and an uplifting mood. The winter has most certainly arrived and snow will keep falling like a white blanket on the sofa. While nature decorates outside, we are challenged to keep up and decorate the interior of our houses, apartments, and rooms. Let’s bring out the best potential with as many as twenty marvelous snaps of interiors, details, and decorations. 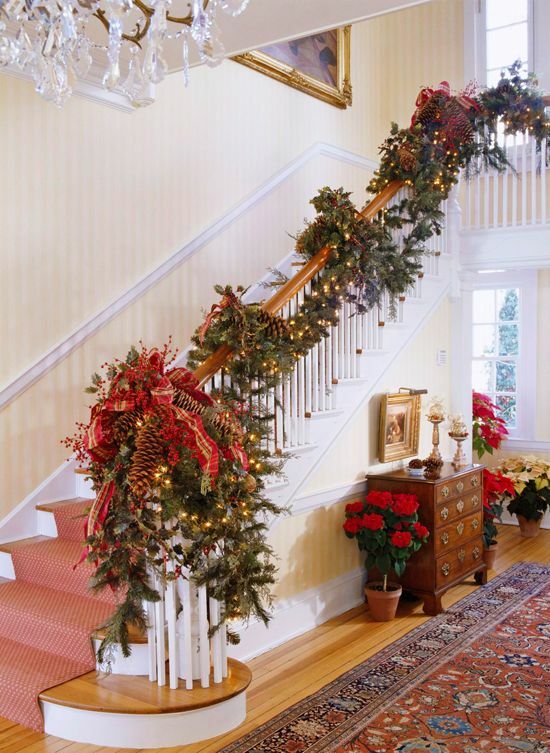 Play some dress up with your staircase with a grand decoration that will leave the guests speechless. 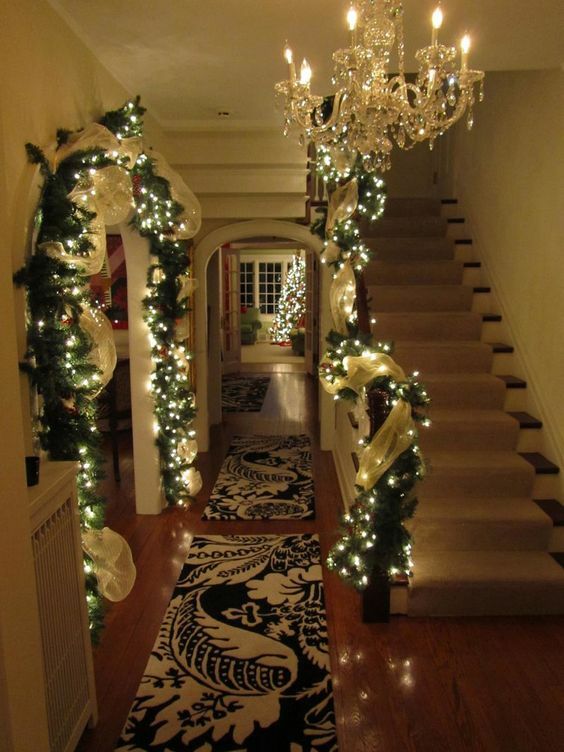 Christmas lights are spiraling up and leading the way into a magical home. Poinsettias in the foyer or other flower pots will be great. Jazz up the ideas a bit by using a tall mason jar and freely decorate it inside. 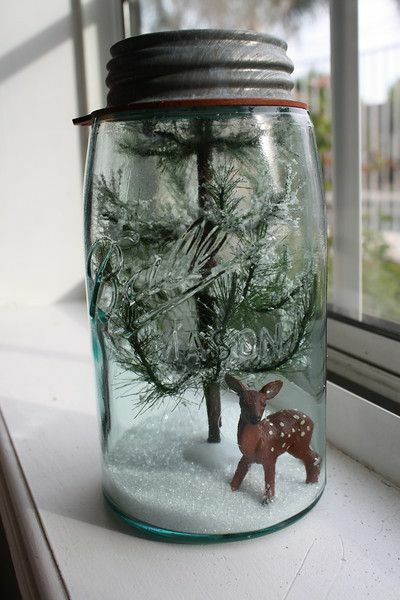 Create a mini version of a deer out in the woods or a snowman. 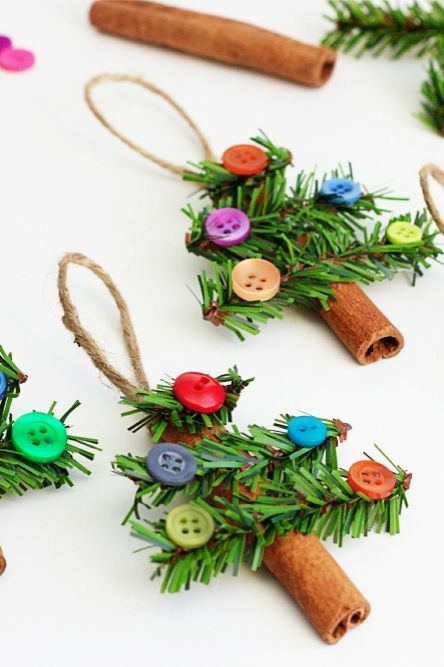 You can use cotton, sugar or spices as well as tiny branches of trees or flowers to achieve this. Go overboard and don’t feel sorry for it. A hundred candles are worth the celebration of this holiday. 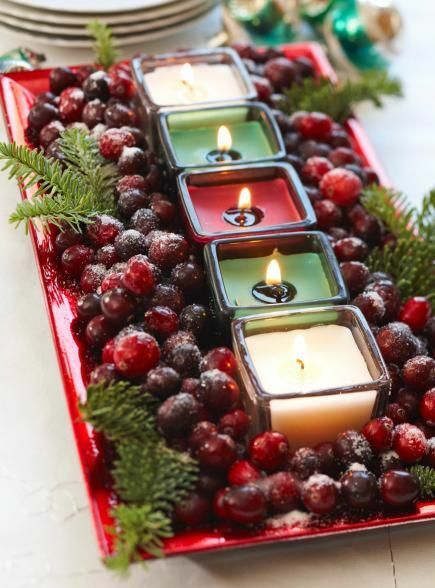 Line up the candles on any plate and sprinkle some cranberries or castor sugar, surrounded by green leaves and voila! 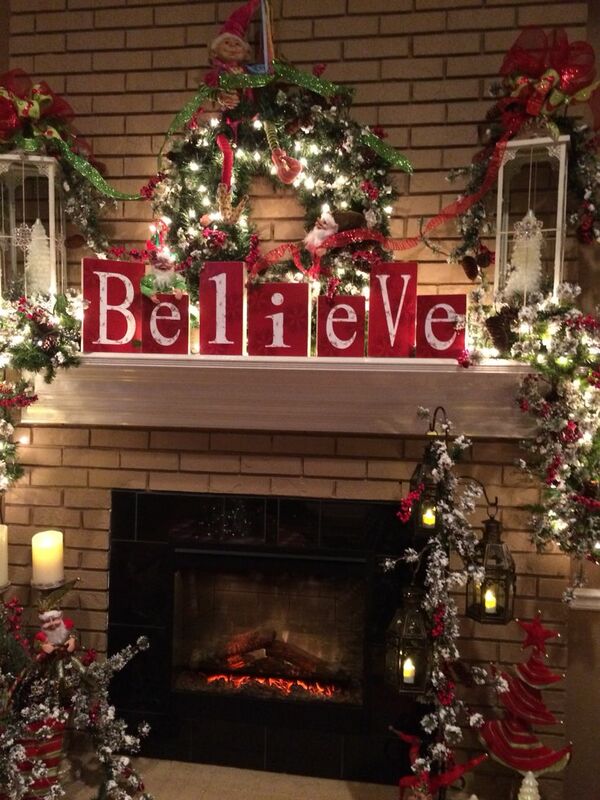 If there is anything we strongly associate with Christmas, it is that it’s time to believe again. Hang up a sign above the fireplace or anywhere else for that matter to create a beautiful reminder that it is okay to trust and live your dreams. 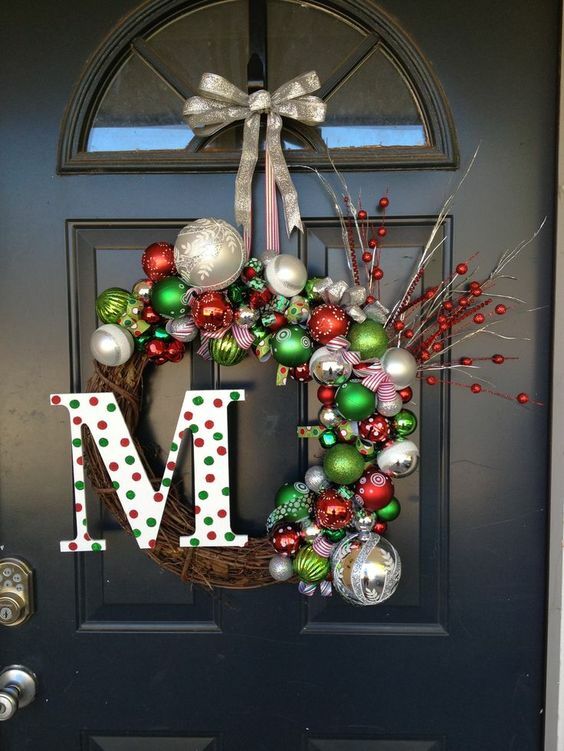 Get as many as three wreaths and hang them up on the front door. 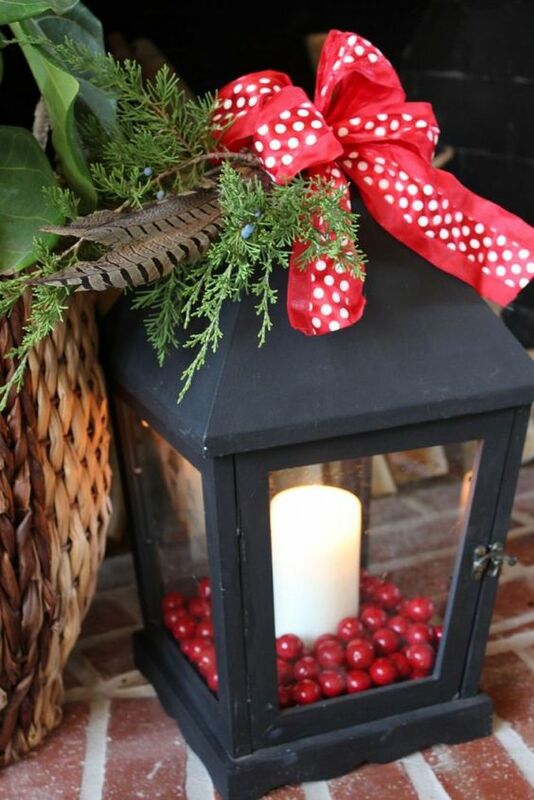 We have a lot more great ideas on front porch Christmas decorations. 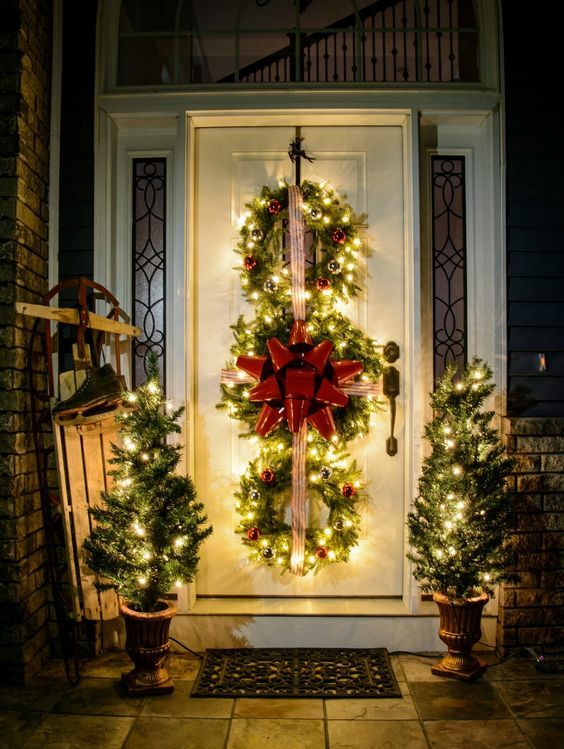 Get some strings of lights for Christmas and start decorating the face of your home. The night time is especially beautiful when you look at this creation. Lights all the way are classic and overdoing it is possible only in Christmas movies, not in your home. 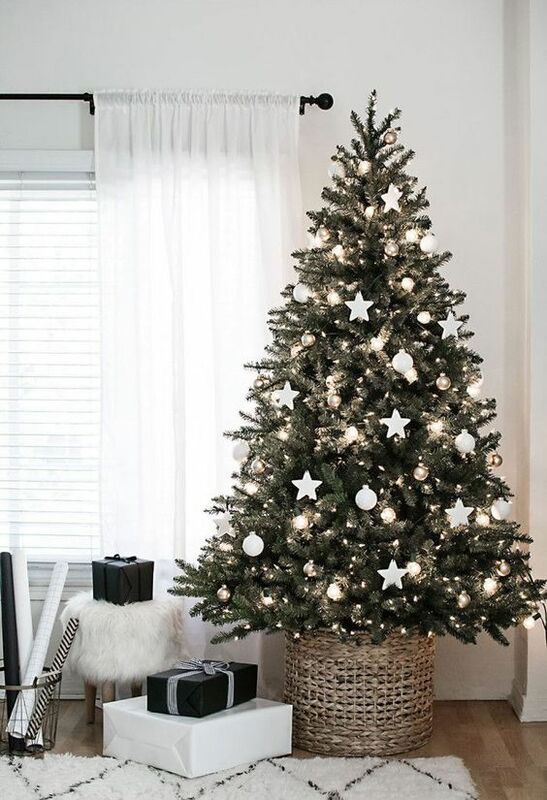 This is easily done with ribbons, garlands, and strings of lights – just to name a few of the types of Christmas lights you can use. Your folks will beg you to turn off the lights and dream a little. 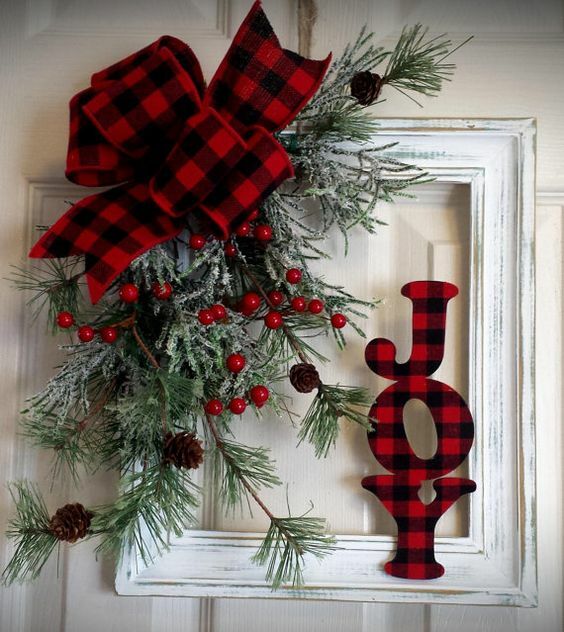 You need a basic brown wreath that is clear of objects and decorate it yourself. Use balls and baubles, a giant letter that represents your first name or your family name. Why not wire it all around the base and marvel at the result? 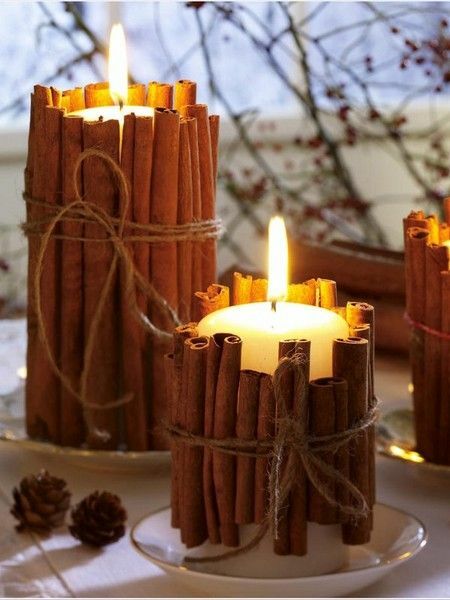 Cinnamon sticks will be glad to surround a thick basic candle and decorate. The beautiful scent will linger and surround your home with the touch of the favored spice. Tiny pinecones around and your tabletop is ready. 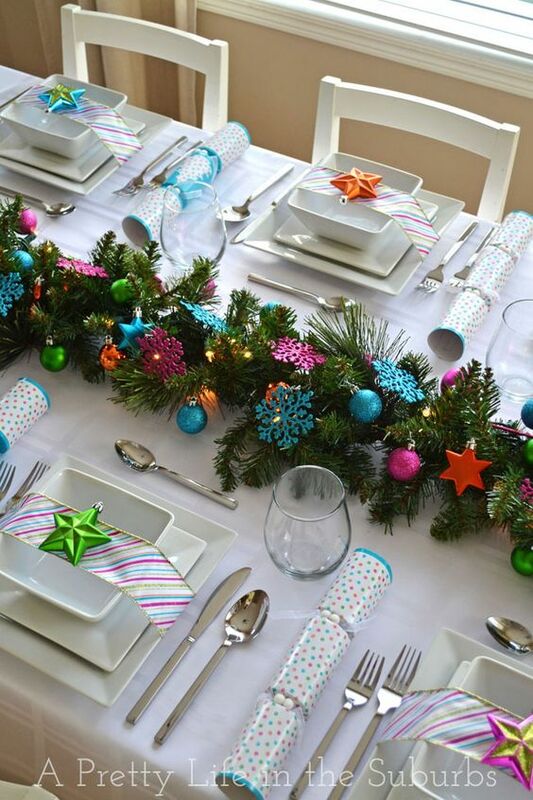 Use all colors to create a rainbow at your dining table for a Christmas lunch or dinner. The impact is wonderful, pretty and sparkly. It will please the eyes of everyone before they feast on delicious food and sip mulled wine. Bring the joy outside by filling a lighthouse with the ornaments and objects you desire. A thick basic candle is standing in the middle waiting to be lit anytime the night starts to fall. Here’s a sacred place for your own home. Once you place this decoration in the middle of the table you are not likely to desire much else. 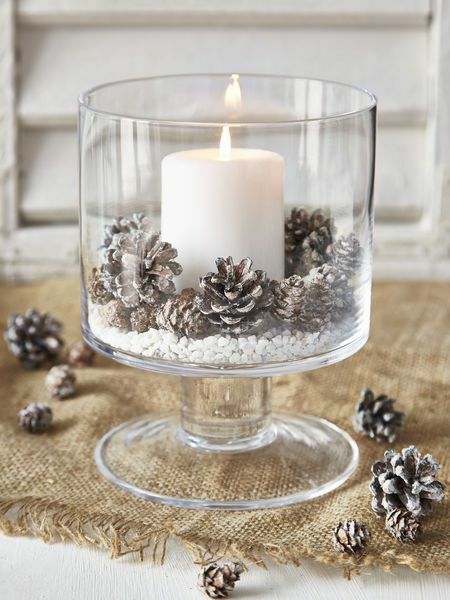 Fill in with little pinecones, a big candle and white particles to mimic the snowy blanket outside. Light the candle and enjoy. 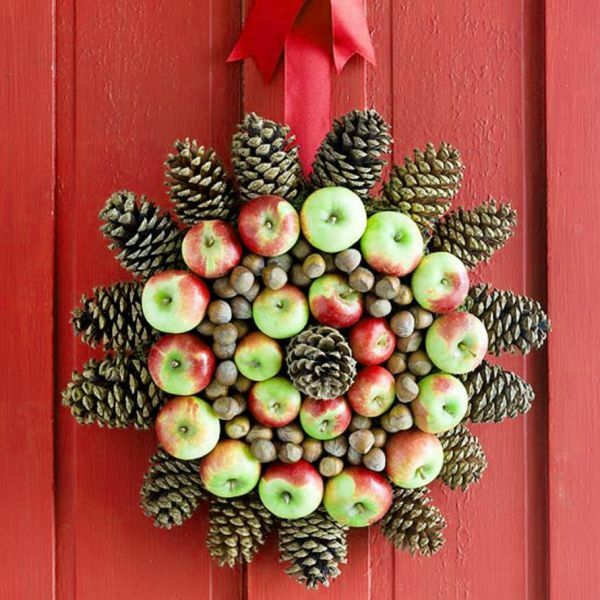 Pinecones, apples, and hazelnuts or any other nuts you can spare from your pantry can create this wreath. It is shaped like a star and its pointy angles are bringing joy as soon as you look at it. This is the deluxe version of nature. 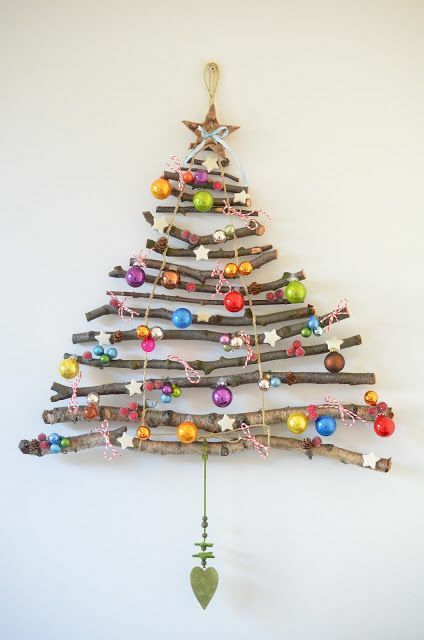 A Christmas tree made of sticks and colorful ornaments is a lovely wall decoration that you can place in any room of your home. As a matter of fact, you can create a wall decoration in the shape of a tree out of any objects around. 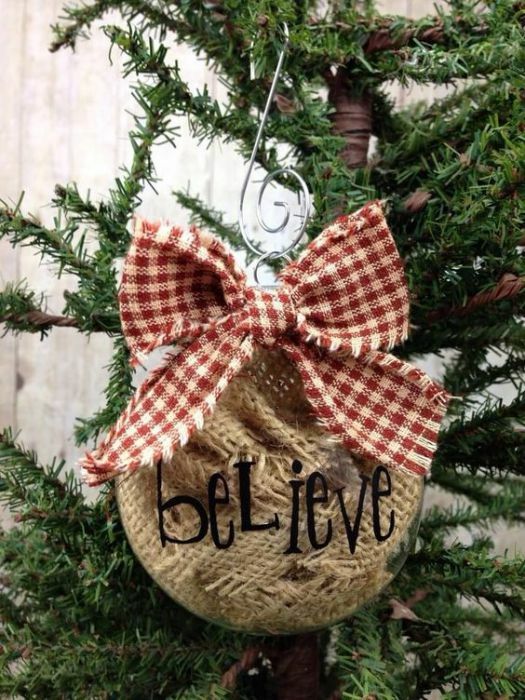 A big glass ball with a Believe sign graces the tree branches and delights the eye. Look up and hold your promise this year, you do have a reason to believe and enjoy the holiday to the fullest. I wouldn’t mind having it on my tree. Once again we see the cinnamon sticks being turned into small trees. It’s time to take out the glue, you will need it to make these for sure. Now you know what to do with the single buttons in the drawer, they are ornaments! 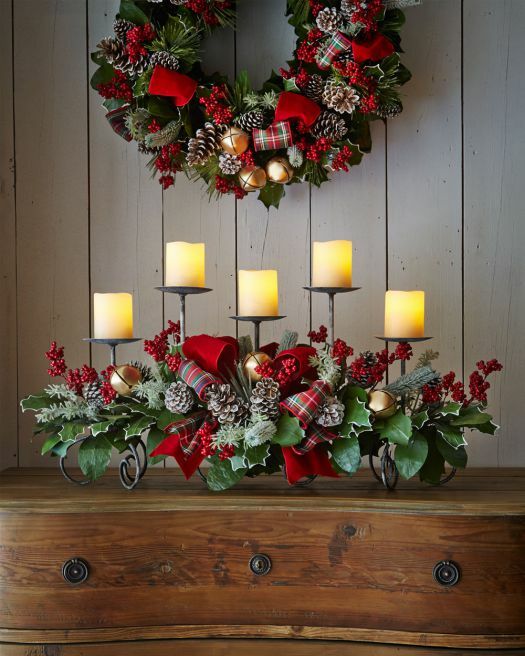 A combination of a wreath and a candle holder that match pretty well with each other. Placed on top of some wooden drawer the red colors, pine cones, and ribbons speak of a very generous, abundant time to come in this come. Snowflakes and the bright white are the full on decors for this home. 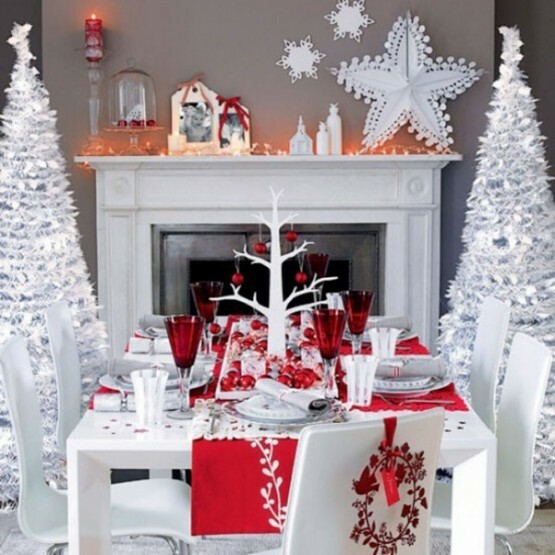 The icy white is warmed by the red apple tree, the napkins, and the glasses, but it still adds a cold feel. Could it be that an all white theme is your dream? They might magically materialize with a simple decor that requires no pressure, just presence. Come on, stylish people. Isn’t this the loveliest black and white, simple, elegant and precious combination we have seen so far? The decor beautifier has definitely stepped foot in this home. Simplicity is elegant, isn’t it? 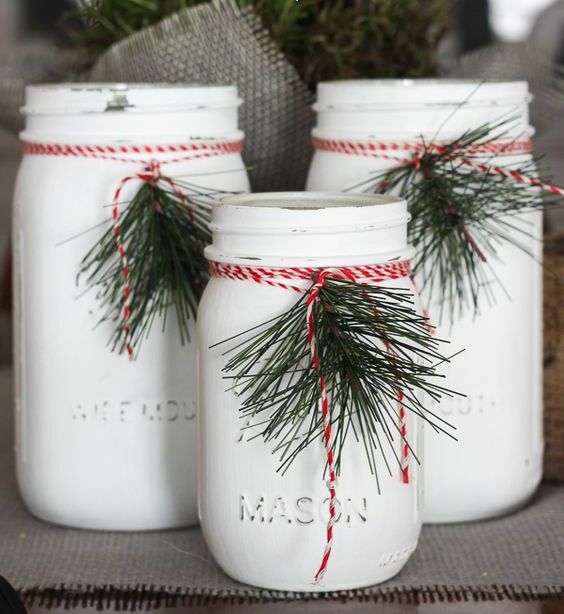 White mason jars with some pretty fabulous decoration around their necks are adorable. The white and red strings symbolize the health, happiness, and luck that is about to come inside this home.